From a large kitchen scale to a set of measuring cups and spoons...every sausage maker needs a few measuring instruments. One secret to great sausage making is to follow recipe directions closely. To do that you will need to be able to measure your ingredients accurately. Some recipe items, like cures, call for exact measuring...others though, like the meat, need less precision. It's also very important to keep a close watch on cooking and internal temperatures when you are making smoked or cooked sausage. A few degrees either way can make a big difference in the quality of your product. There isn't a long list of measuring tools that you will need, but they are all necessary for good results. Most sausage recipes call for between 2 and 25 pounds of meat ...A kitchen scale that measures in divisions of 1 or 2 ounces is plenty accurate enough to do the job. ...you don't have to invest in a huge capacity scale. The kitchen scale I use measures up to 10 pounds. If I need to weigh more meat than that, I just do it in multiple batches. My scale does have a tare (zeroing) feature. That lets me automatically subtract the weight of the container holding the meat. If you need to purchase a kitchen scale, I highly recommend you get one with a tare setting...The less math the better, right? You should be able to find a perfectly suitable new kitchen scale like mine for between $20 and $40. I have seen lots of them on the used market too, but some of the older ones don't have the tare feature, so be careful. Some sausage ingredients need more accurate measurement. Many recipes call for spices to be to be measured by weight rather than by volume, and small variances can make a big difference in the final taste of the sausage. Also, when you start making cured sausage (smoked, cooked, or dried), you will find that you need to measure the cure very accurately. Most recipes give cure measurements in volume, but some still specify weight. For me, nothing works better for measuring the weight of spices and cures than a digital scale. Get one that can measure in fractions of both ounces and grams because...There are lots of good sausage recipes from countries that use the metric system, and it can be confusing to do weight conversions. With a good digital scale you just push the right button and the problem is taken care of. 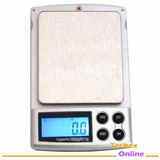 Most of the newer small digital scales will hve the gram/ounce weighing option. I wouldn't get one without it. I recently bought a new digital scale, and I was amazed by how inexpensive they have become. The one I found on eBay was under $10. It has metric to American conversion, and runs (seemingly forever) on a single AA battery. Many traditional recipes call for volume measurements, so every sausage kitchen needs an assortment of measuring cups and spoons. 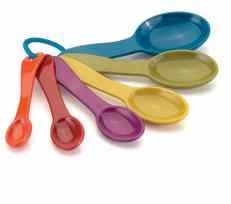 ...a one cup measure with a handle (I like the old fashioned metal ones without a pour spout) and a set of plastic measuring spoons with 1/4, 1/2, and 1 teaspoon and 1/2 and 1 tablespoon measures. When you want to make cooked or smoked sausage varieties, it's important that you are able to closely monitor temperature levels. ...When you are smoking or cooking sausage, if you let the internal temperature get above 172 degrees F. the fat in the sausage will start to melt. The result is a dry crumbly sausage that looses much of its appeal. ...I prefer the digital probe thermometers that you insert into the sausage when you start the cooking (or smoking) process. 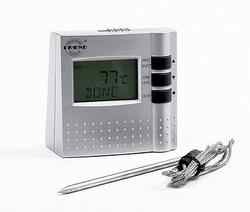 These have a lead that connects to a digital dial, and they give you a constant temperature reading. Most even have an alarm to let you know if things are getting too hot. If you have 2 of these thermometers, you can use one to keep track of the temperature in the smoker and one to monitor the internal temperature of the sausage. In most cases, low and slow is better than hot and fast. None of the thermometers for sausage making need be expensive. I've found several of the digital models with all the bells and whistles for as little as $10. Kitchen scale, digital scale. 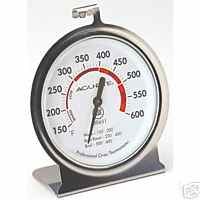 volume measures, thermometers... You should be able to get all the measuring tools you need to equip your sausage kitchen for well under $75. That's assuming you don't have anything to start with, and need to buy it all.